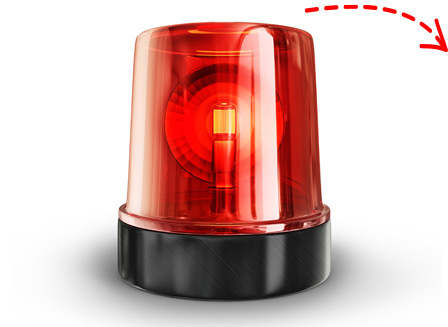 Eastern DataComm has developed a comprehensive, automatic emergency notification system we call LENS (Lockdown and Emergency Notification System) that fully addresses a school district, office or municipality’s communication needs in the case of a lockdown, active threat or other emergency event. See how easily you can enhance the safety of your students and staff in this LENS video. What is LENS by Eastern DataComm? With the touch of a button, you can instantly and automatically notify everyone on school or office grounds that an active threat or other emergency situation has commenced. The automatic alert and school safety solution is a flexible system that ties into several different technologies. It can grow and expand to work with existing infrastructure, and meet the challenging demands of today’s budgets. Components of this notification system are wireless (radio, not WiFi), allowing you to install strobe lights, additional speakers and sign boards in hard-to-wire locations including parking lots, outdoor common areas and athletic fields. Emergency notification software can notify key administrators instantly when (and where) 911 is dialed or a lockdown is initiated. The system will also allow initiation of a “Shelter in Place” and “Building Evacuation” alerts. The system is designed so that any phone in the school or office can activate the system by simply dialing a 4-digit code. This puts activation points throughout the building - not just in the administration offices. Watch our short demo video instantly…Simply fill out the form above to watch.